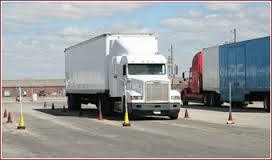 There are many things you need to consider when you are entering the trucking industry. Once you decide you want to drive a truck. You will need to have a general idea of whether you want to be a solo driver or a team driver. In this article, we want to examine some of the aspects of being a solo driver. You have to put a lot of thought into it when you are entering a profession where your work space is limited. If the thought of sharing your space and having to be considerate of another driver’s stuff scares you. Being a solo driver would be a good choice for you. Should I start as a Solo Driver or go Team from the beginning? I actually recommend that you start out as a solo driver. There is a lot to be learned as a new solo driver. 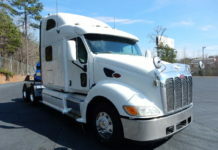 Once you graduate from your CDL training and your trainer’s truck you should go solo. This is why it is imperative that you pay attention during training! I see a lot of new drivers try to jump into a team situation because they are thinking they will make more cents per mile. 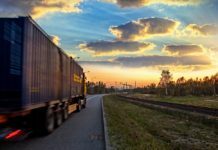 This is a huge mistake and it is a case of “bait and switch” by the trucking companies. Most of the time they will team up with another brand new driver and it is basically a scenario of the “blind leading the blind”. The problem with this is that if neither one knows what to do in a given situation. And if they choose to follow the wrong habits because they don’t know any better it can become a big setback for both of them in the long run. The other issue is the cents per mile offered by the company. It sounds better to say $.32 cents per mile for teams, but only $.26 cents per mile for a solo driver. You are automatically thinking that $.32 is more than $.26. However, when you are a team you cut that in half. So you are really only making $.16 cents per mile. Plus, I have often heard that new teams barely make 3,500 to 4,000 miles a week. So you are splitting that mileage down the middle. As a new solo driver there is no reason why you cannot make 2,500 miles to 3,000 miles. What are the perks of being a solo driver? Probably the biggest perk to being a solo driver is that you can arrange your stuff in the truck how you like it. You don’t have to worry about someone else’s stuff or rotating in and out of the bottom bunk. 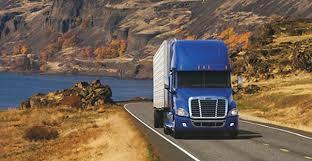 The time as a solo driver also gives you time to learn how to run the truck at your speed. It helps you develop your processes so you can stay safe and not make mistakes. As well as giving you time to get adjusted to sleeping in the truck without it moving. Once you develop good habits and make some truck driving friends you can usually find people that have the same personality as you. This would be a good candidate to go team with if you so desire. If you still want to eventually go to team driving. Being a solo driver gives you time to find that perfect partner. It is a big adjustment to let someone else in your truck and taking the time to find someone that you will get along with is very important. As you can see there are some big considerations you have to make. Once you have established yourself as a good solo driver and you feel confident in your abilities you may want to take on the responsibility of a partner. However, many drivers spend their whole career’s as solo drivers. So whether you want to be a team or solo driver make sure you stay safe and productive out there on the road. Perfect post. My feeling towards team driving is much more simple. Can I sleep with this person driving? What I mean is, do I trust this persons driving? If I’m gonna meet the big guy I’d rather it be by my own mistake. Not someone else’s.